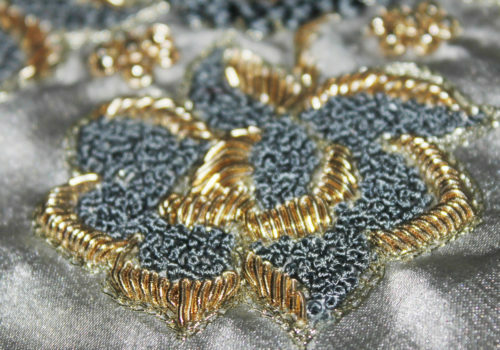 Zardozi is an intricate embroidery technique made with metallic threads and embellishments. 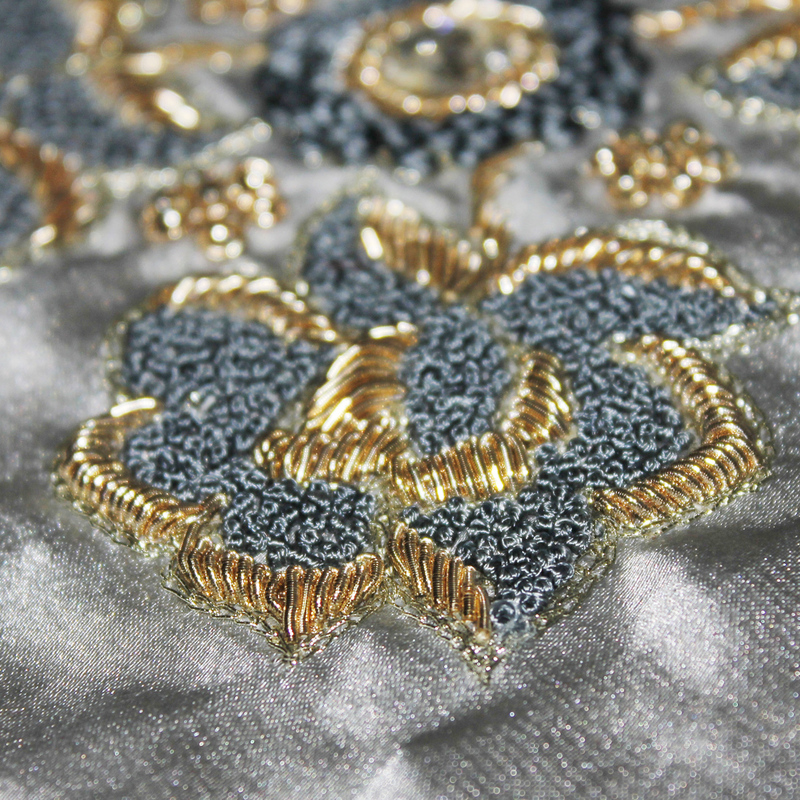 Initially it was made with real silver and gold, today also gold- and silver plated copper thread is used. It is practised in Iran, Azerbaijan, Iraq, Kuwait, Turkey, Central Asia, India, Pakistan and Bangladesh. Lucknow Zardozi has a Geographical Indication since 2013.